Did you know? That EVERY ingredient we use to make our beer comes directly from Germany?! It's True! 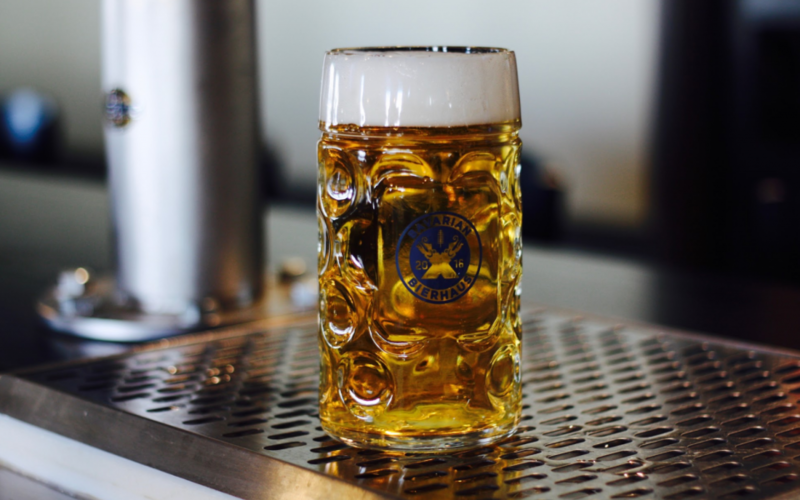 Visit the Bierhaus today for an Authentic German Brew. On Tap Our fresh brewed Bierhaus beers on tap! A traditional full flavored golden lager with a clean crisp finish. Brewed with premium German ingredients and lagered with care this malty Helles is sure be please everybody’s inner "beer nerd". Give it a try! A true German specialty born in Munich and once monopolized by the Bavarian kings for its flavor and drinkability Hefeweizen is now loved the world over. 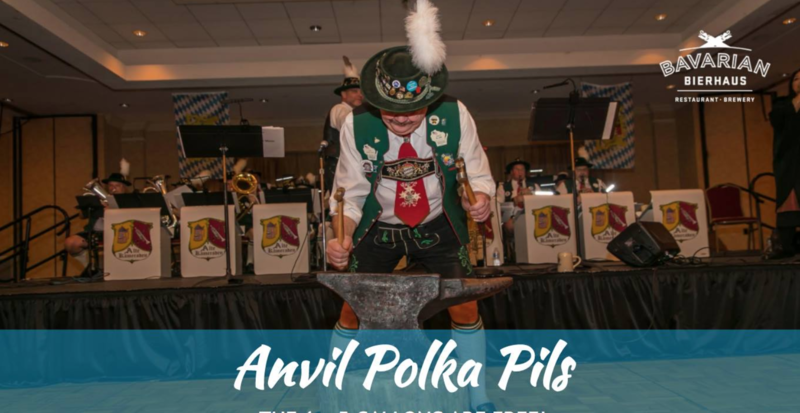 By using special Barke (Bark-a) Pilsner malt and Pale Wheat malt from Weyermann Malting Company in Bamberg, German a very "tradition" malt flavor is brought to center stage which perfectly pairs with earthy continental hops and well balanced clove and banana flavors. Dunkel literally translates to "Dark" Lager, but don’t let the name fool you if you are one of those people who says "I don’t like dark beers…" This Dark Lager is smooth and dangerously delicious with a delicate malt forward backbone and a clean finish reminiscent of Munich’s favorite beer for centuries. Doppelbock literally translates to 'double bock' and the Belsnickel is a creepy little guy who follows Santa around in Germany whipping bad kids. Like the Belsnickel this one packs a punch. Brewed with tradition in mind using heirloom malts and hops from Germany. With its smooth malt flavor and warming booziness this beer is great for cold winter days! The Belsnickel is neigh!